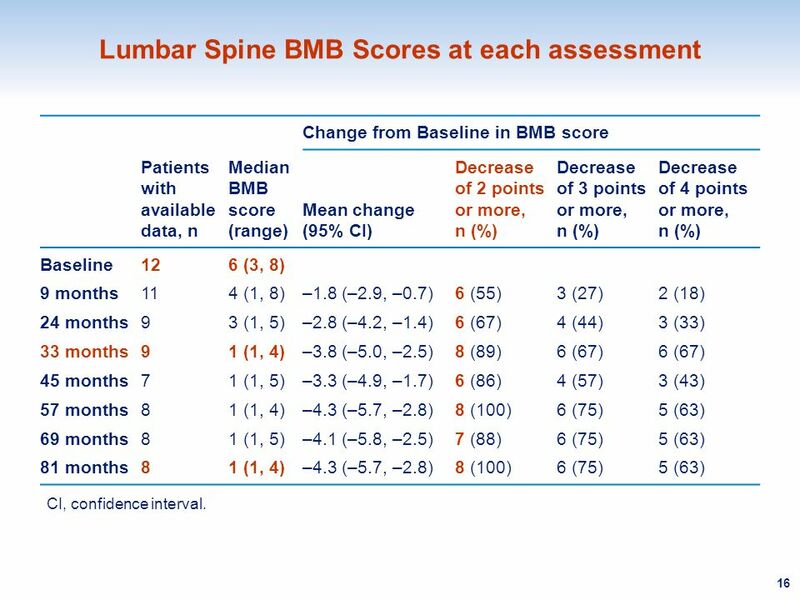 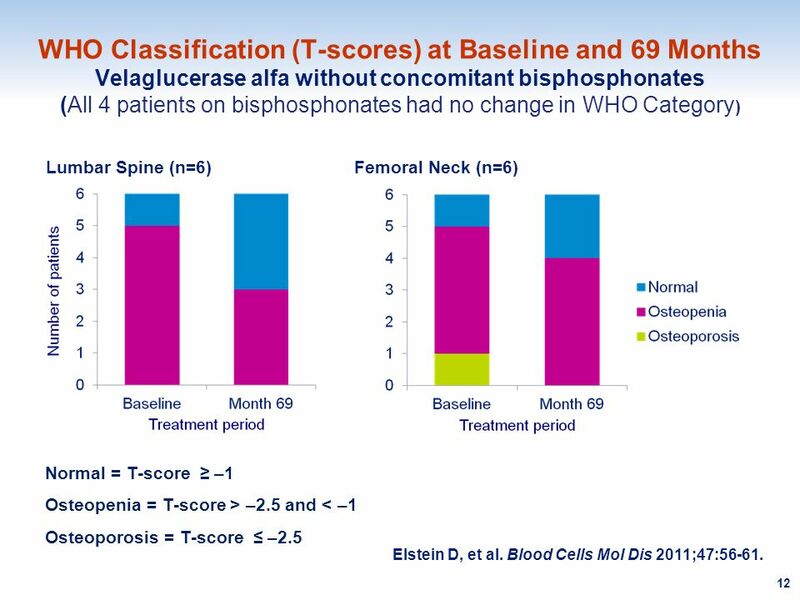 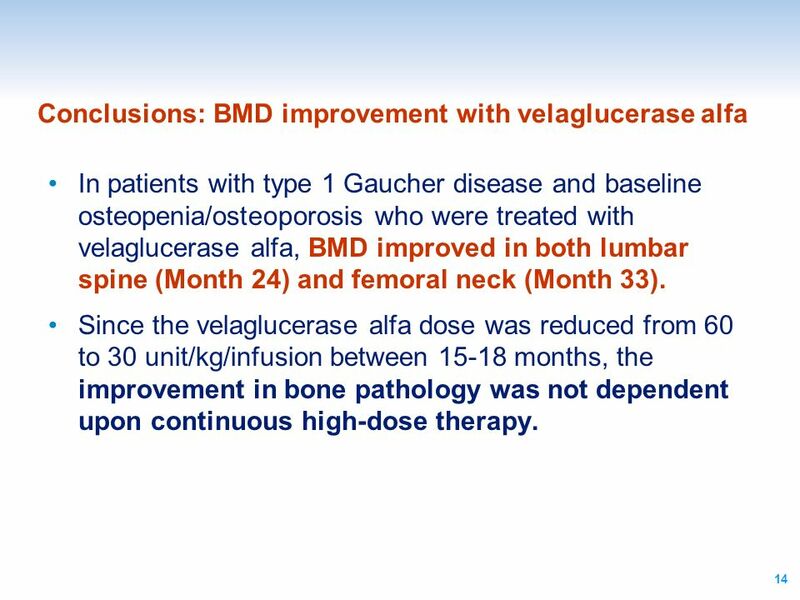 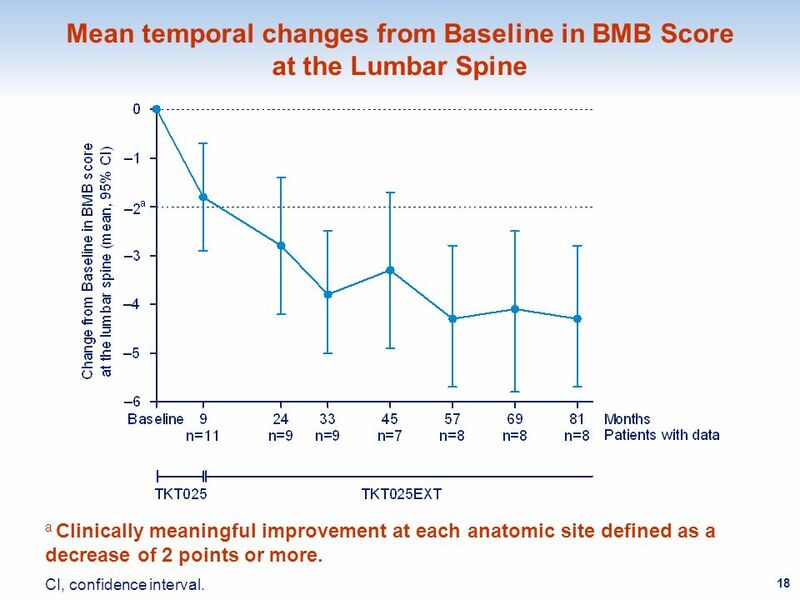 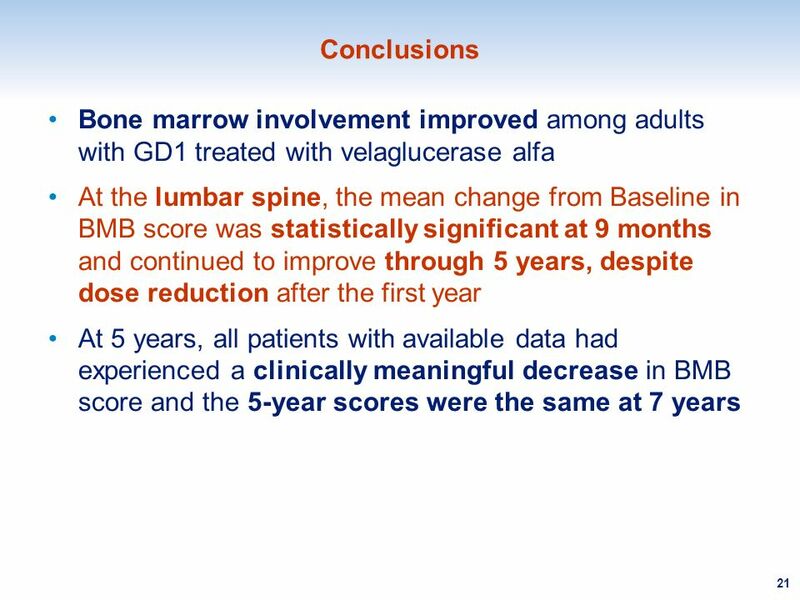 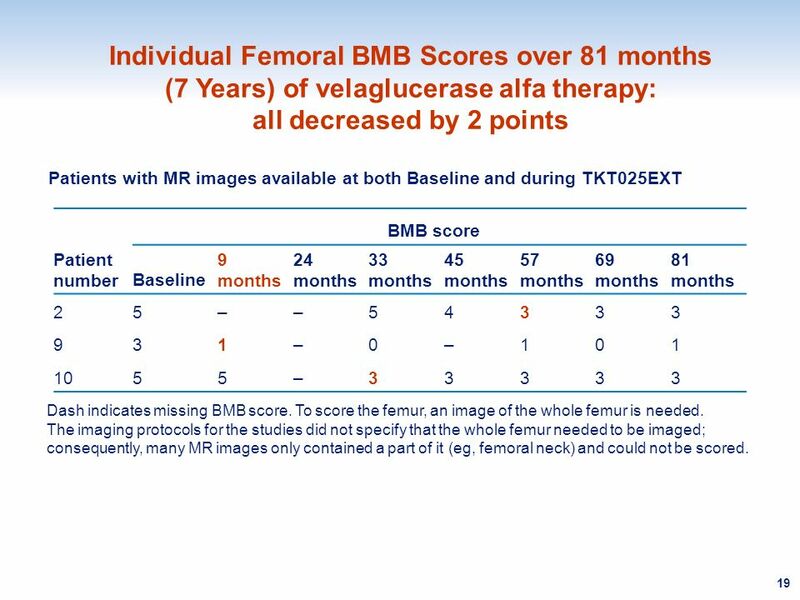 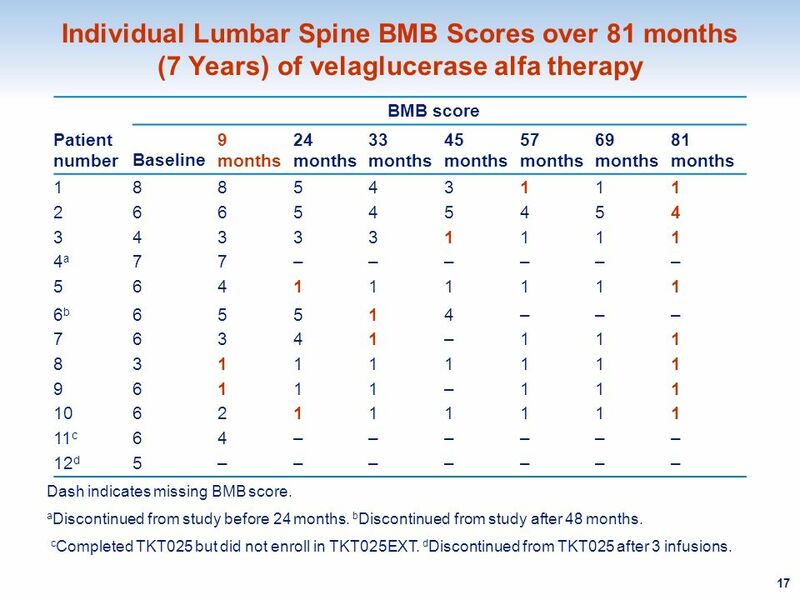 Impact of Velaglucerase Alfa Therapy on Bone Marrow Burden Score in Adults with Type 1 Gaucher Disease: 7-Year Experience Deborah Elstein;1 Andrew H. Haims;2. 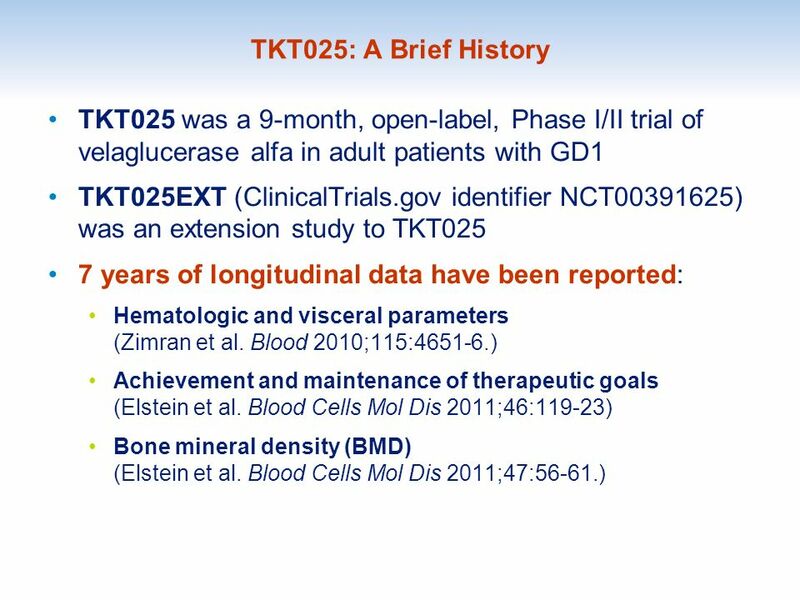 The authors declare the following potential competing interests: Dr Elstein participated as an investigator in the clinical trials from which these data were taken and served as a consultant to Shire Human Genetic Therapies, Inc. (Shire HGT) during the course of the clinical trials. 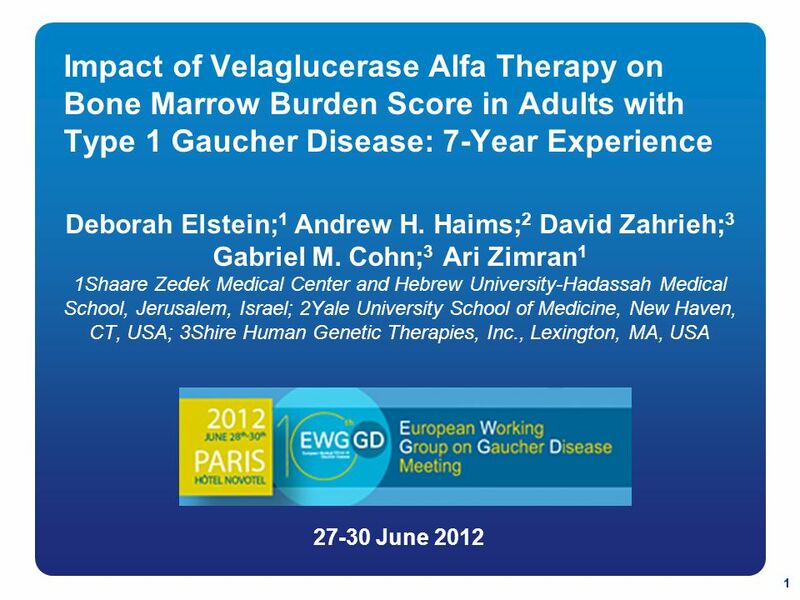 Dr Haims has served as a consultant to Shire HGT. 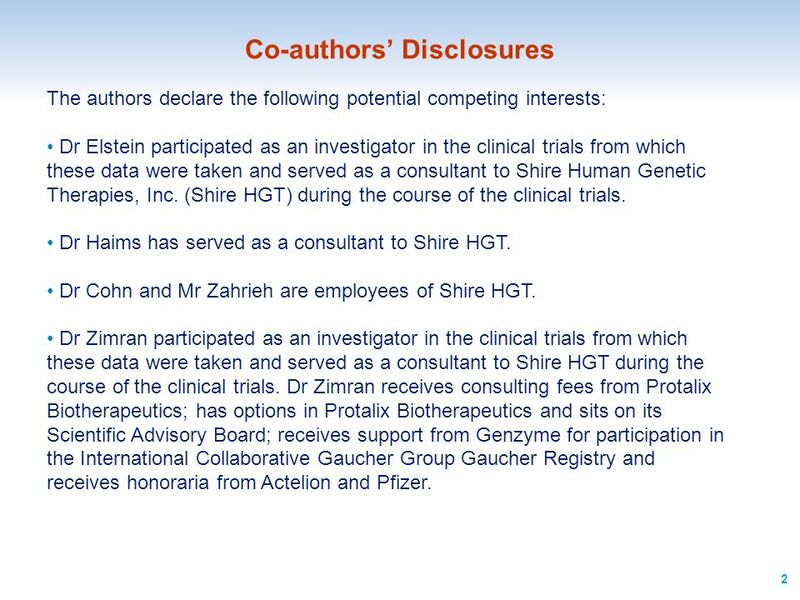 Dr Cohn and Mr Zahrieh are employees of Shire HGT. 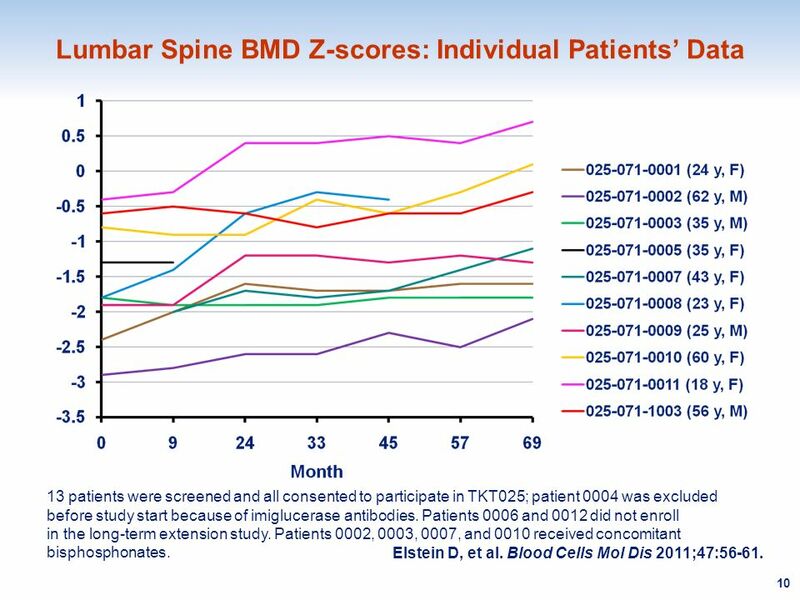 Dr Zimran participated as an investigator in the clinical trials from which these data were taken and served as a consultant to Shire HGT during the course of the clinical trials. 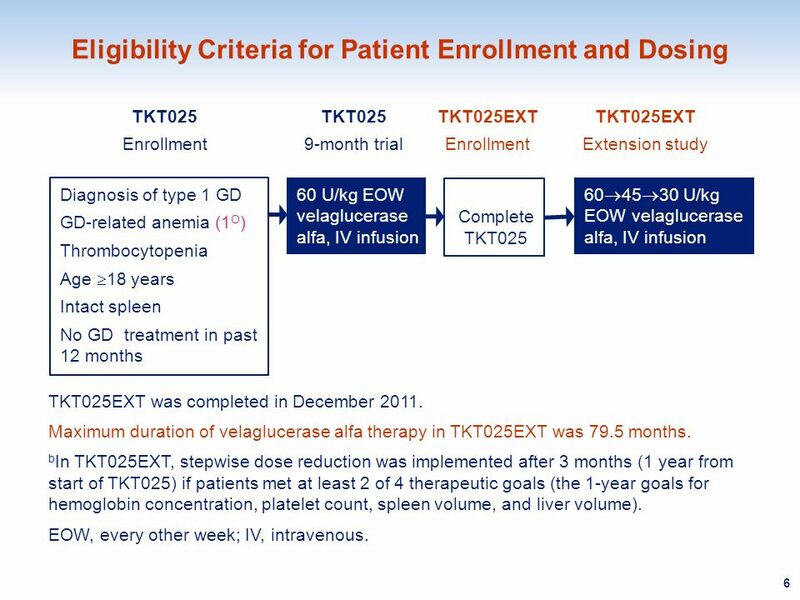 Dr Zimran receives consulting fees from Protalix Biotherapeutics; has options in Protalix Biotherapeutics and sits on its Scientific Advisory Board; receives support from Genzyme for participation in the International Collaborative Gaucher Group Gaucher Registry and receives honoraria from Actelion and Pfizer. 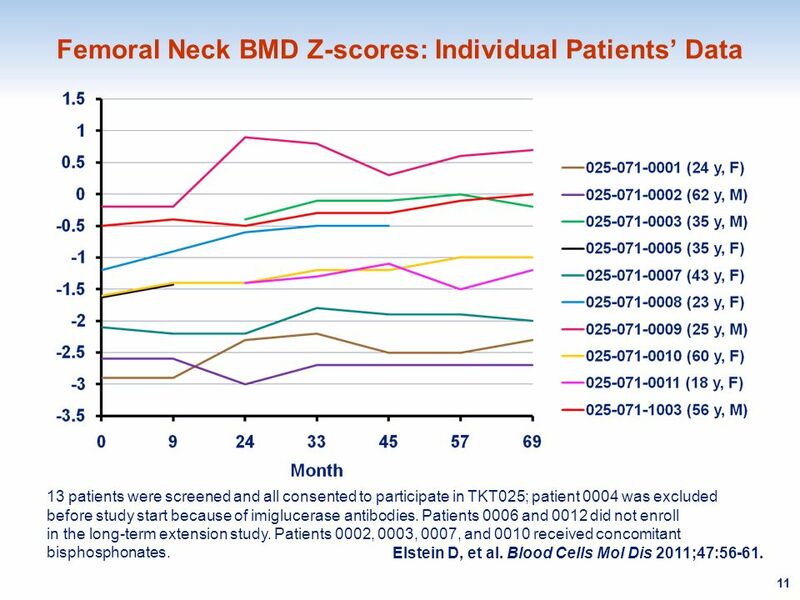 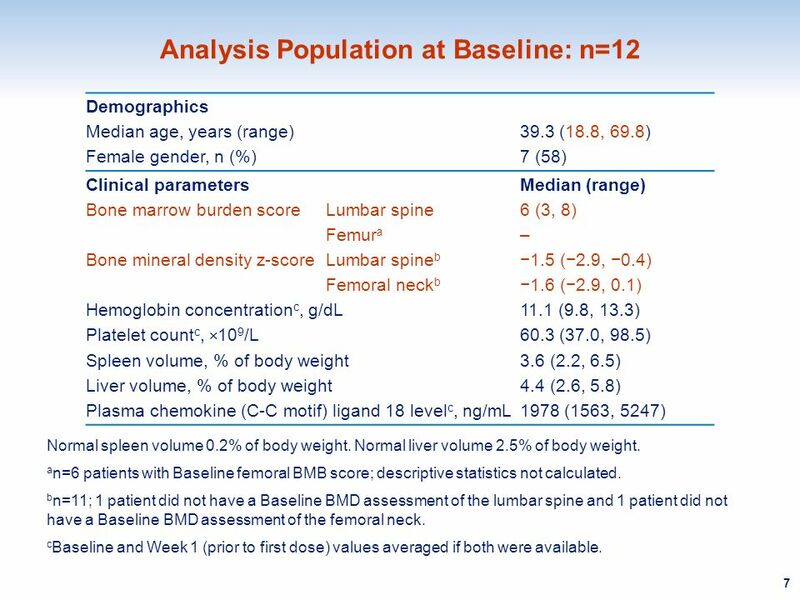 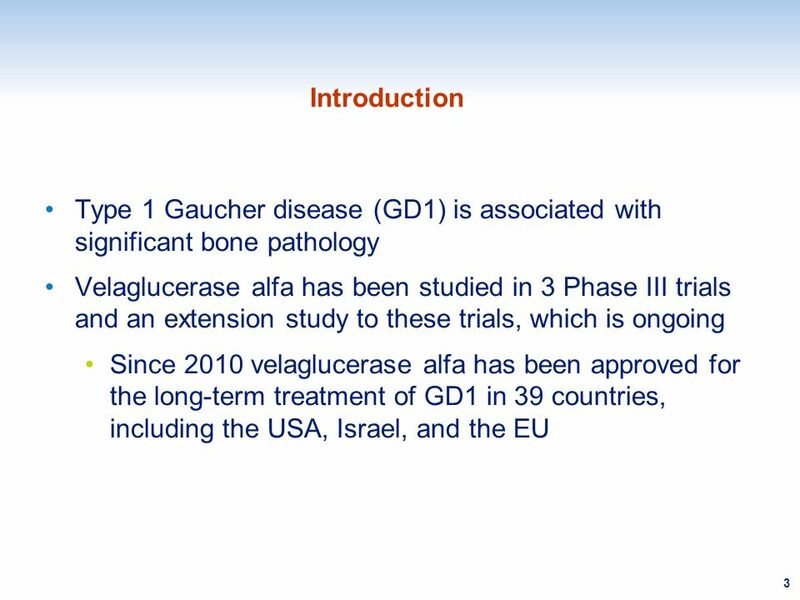 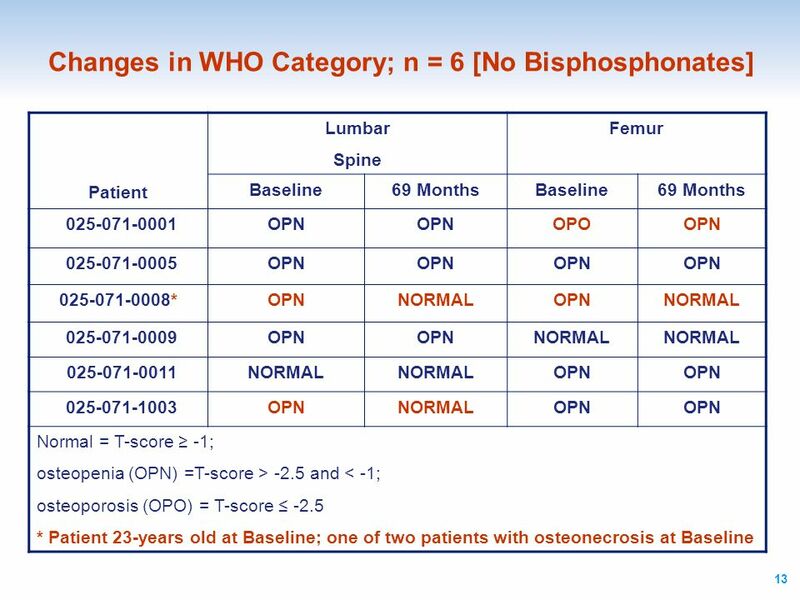 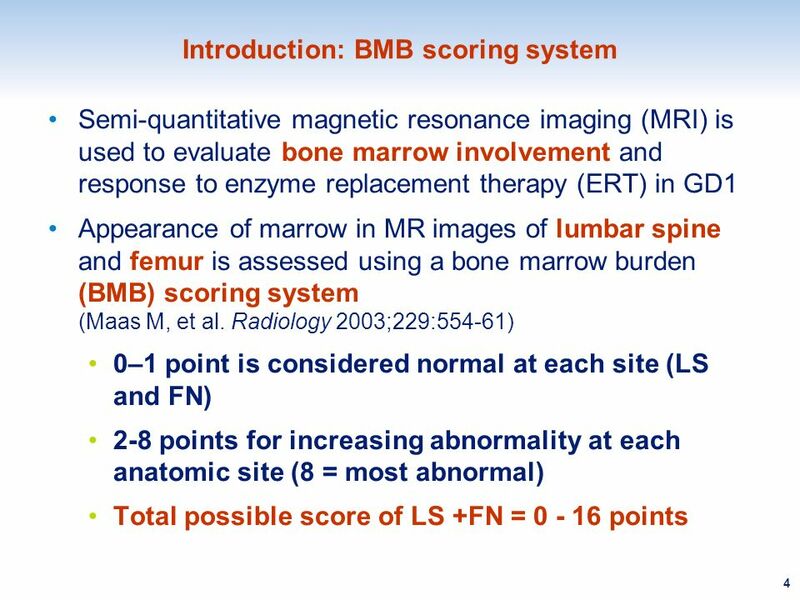 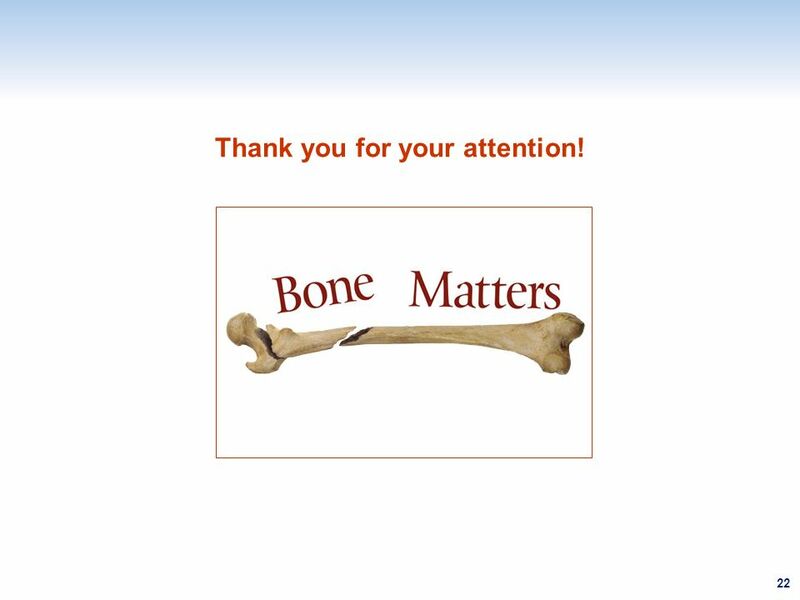 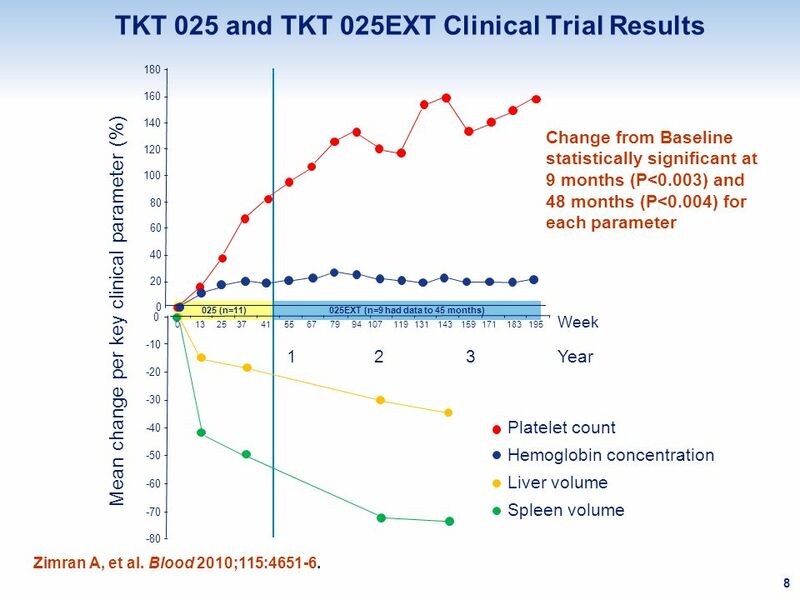 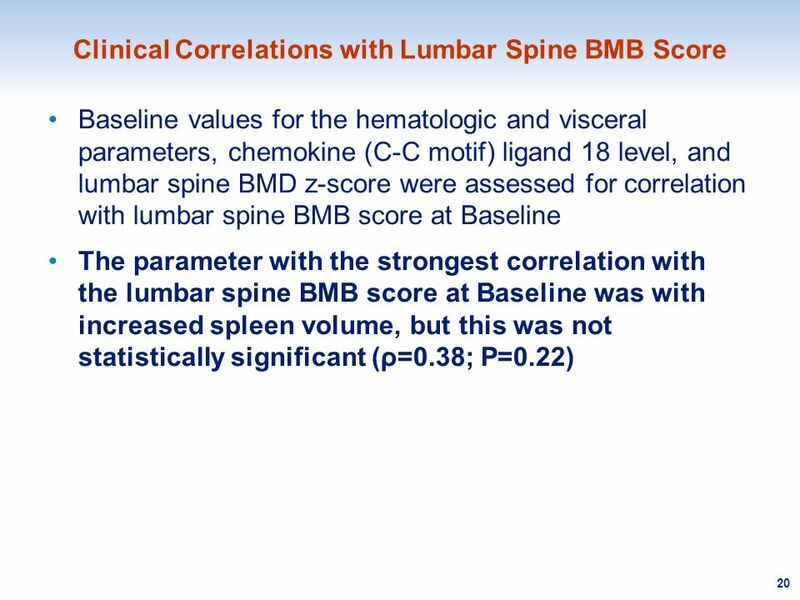 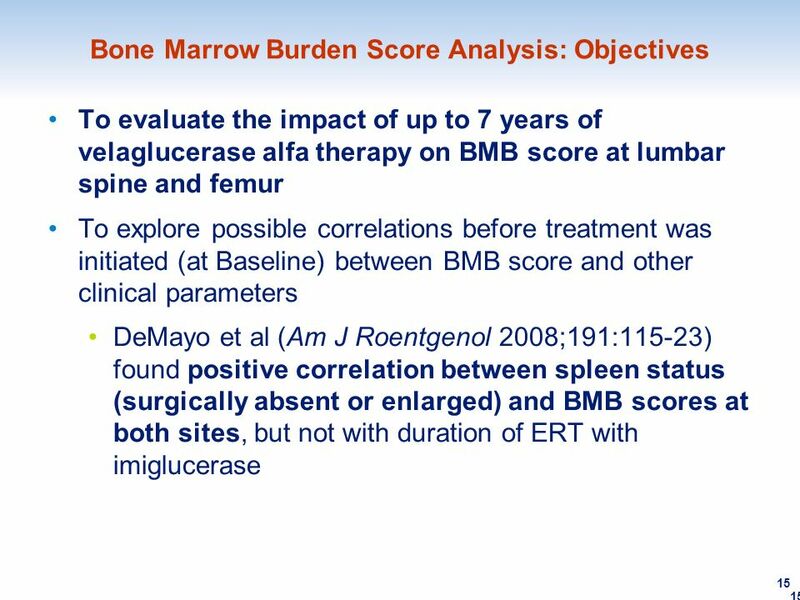 Download ppt "Impact of Velaglucerase Alfa Therapy on Bone Marrow Burden Score in Adults with Type 1 Gaucher Disease: 7-Year Experience Deborah Elstein;1 Andrew H. 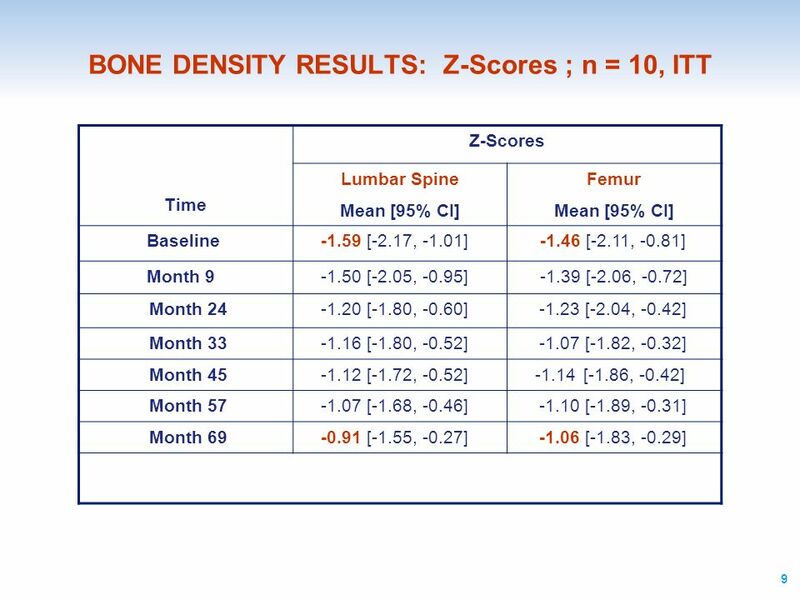 Haims;2."